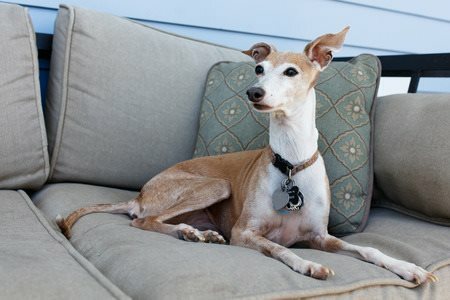 The Italian Greyhound is often described as being a unique breed among dog breeds. They are true creatures of comfort and they are known as the “Velcro dog”. Many small dogs get the name velcro and the reason why is that they cannot think of a better place to be than right there by your side or on your lap. The IG, as the breed is often called, was bred first to be a companion and to be by your side, snuggle next to you, and keep you warm. This breed is definitely considered a lap dog and some say that they are very cat-like. These little guys love to sunbathe and are extremely intolerant to cold weather and the rain. So intolerant to the cold, many Italian Greyhound owners actually litter box train their pup. The IG is a scaled down variety of the larger Greyhound, which means that they can run incredibly fast. They run at a whopping 25 miles per hour, which is 6 miles per hour faster than the average pooch. This breed has a deep chest which gives them endurance and a long and slender tail with a slight curve at the end. Their long tail gives them balance when they run extremely fast and is also used as a rudder to help them turn on a dime. Other than being able to run fast, they also have very acute sight and hearing. Their “flying” ears, or “propeller” ears help them to hear. The ears on this breed are very high set with drooped tips when they are alert. This is a very special breed of dog. Being alert, active, loyal, affectionate, and many other amazing qualities, this is a good dog for many people. Italian Greyhounds are not for everyone, but if you are looking for a playful dog that also loves to spend time on your lap and by your side, then this may be the perfect breed for you. Colors: Grey, slate grey, red, fawn, blue, black, white or cream. Black and tan and brindle are not accepted in the AKC show ring. Good with Children: They are decent with children if they are socialized and introduced to them at an early age, but they would do better with no small children, as the noise can be bothersome to them. Good with Other Pets: If socialized with other pets when they are puppies, Italian Greyhounds get along fine with other dogs. They do have a slight prey drive though, which should be kept in mind if you have small rodents in the house. These petite dogs were bred to be companions, and similar to many small dogs, they were primarily kept by royalty. They graced the royal palaces of Charles I, Katherine the Great, Queen Anne and Queen Victoria, just to name a few. Despite their name, they were actually not originally from Italy. They were believed to have originated in Greece and Turkey over 2000 years ago, but there is a lot of discussion as to where they actually originated. By the middle ages, they were distributed throughout Southern Europe and are often considered a symbol of wealth, which is why they often appeared in many paintings throughout the Renaissance. The breed was a favorite of Italian aristocrats, which is where they get their name. After World War II, the breed was almost wiped out. American breeders were actually the ones who helped keep the breed alive. The breed was first registered with the AKC in 1886. In 2013, they rank #66 our of 177 listed breeds. 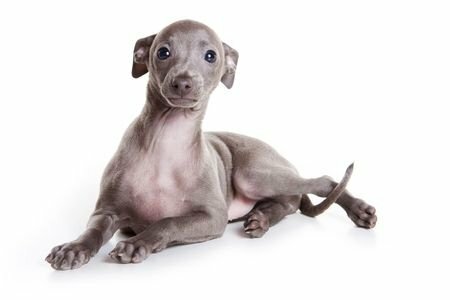 The Italian Greyhound is a very intelligent, sweet, loving and loyal breed of dog. Since they were bred for companionship, they make amazing lap dogs and will stick by your side as much as they can. They were very selectively bred down Greyhounds, and are a result of selective breeding. This means that they share some characteristics with the Greyhound, such as their speed and passion to run. It is very important to have your IG on a leash whenever they are outside. Like many dogs, the Italian Greyhound has a strong prey drive. This means that your IG is likely to take off after a passing squirrel or chipmunk if one should come into view. Their determination makes it very hard to recall them when such an enticing stimuli is present. You will never be able to outrun the Italian Greyhound. So, if they bolt, you have a problem on your hands. However, in a gated or fenced in backyard, they do just fine. Early training and socialization is also very important with this breed of dog. Do not let your dog develop Small Dog Syndrome. This is where they will think they own you and that they do not have to listen to you. 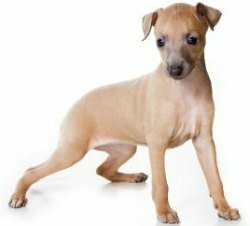 The Italian Greyhound has the tendency to be shy in temperament and high strung, which is why early training is as important as it is. The main thing to remember when training this breed of dog is that you are the owner and pack leader. Being the leader means you need to have a firm hand while training. This doesn't mean you should be rough. Gentle positive methods always work best. It is essential that you do not overprotect this dog. That can be a bit tricky, especially when you develop such a close bond to your furry little friend, but it is crucial in behavioral development. In stressful situations, it is best to try to not cuddle and hold your dog. This will not be easy, but the more you do this, the more timid and high-strung your dog will become. It is important to assure the dog sees you being strong and stable, and they will do the same. If you overprotect your dog, you are putting yourself in an unstable state and this can confuse your dog. This breed can also be reserved when it comes to strangers, which is something to know if you are the type of person to have friends and family over that the dog may not be familiar with. They are fairly adaptable dogs, but are highly sensitive to the cold. Keep this in mind if you live in a colder climate. They do not like the rain or the cold and it is important to keep them warm due to their short and thin hair coat. If you do have an IG in a colder climate, then sweaters, jackets and booties will be your best friend. Litter box training is also an option for this breed. Greyhound does not really like loud and noisy environments. They like everything to be very quiet and calm. If you have young and potentially noisy children, you might want to reconsider this breed. However, overall, this is a very intelligent and beautiful dog that will not disappoint you. If you are looking for a low maintenance dog when it comes to grooming, then look no further than this breed. 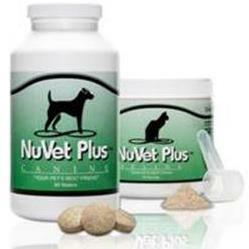 They have a very short and smooth coat that has essentially no odor and sheds a minimal amount. They might be one of the easiest breeds of dog to groom. The occasional wipe down and bath will keep this breed in good shape. It is important to check your dog’s eyes, ears, nails, and teeth once in a while to assure they are healthy. Other than that, this dog is pretty much hands free when it comes to grooming. Italian Greyhounds are fairly healthy, but a lot more fragile than they appear. It is enormously important to make sure this breed is safely confined when they are unsupervised for the first 12-18 months of their lives. Before their bones are fully developed, it is important that they don’t jump off of anything such as a bed or a sofa because they could fairly easily break a leg. Other than fragile bones, the IG only has a few other health concerns. President John Tyler bought his wife an Italian Greyhound named "Le Beau." Visit 101 Dog Breeds for their take on this cute tiny sight hound. 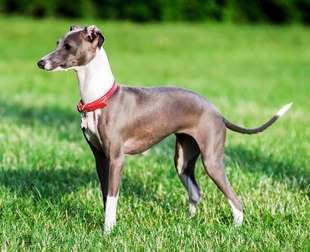 Breed Club: Italian Greyhound Club of America, Inc.
Before deciding on a breed, it is always wise to learn as much as you can about it. 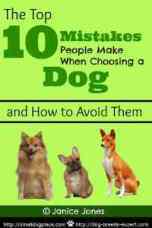 These books are available from Amazon and come recommended by breed fanciers. Purchasing a product linked from this site helps keep the site up and growing. Your help is always appreciated.